Through It All | Just Shooting Memories! I took this photo the other day while I was waiting on a super cell thunderstorm to roll through. It was one of the cells that produced at least one tornado. The rain had just started and the wind was moving the water pretty good. All I was missing were some red rockets and musket fire. I think I may have even been able to put a ship in the water. It wouldn’t have been a large one though. 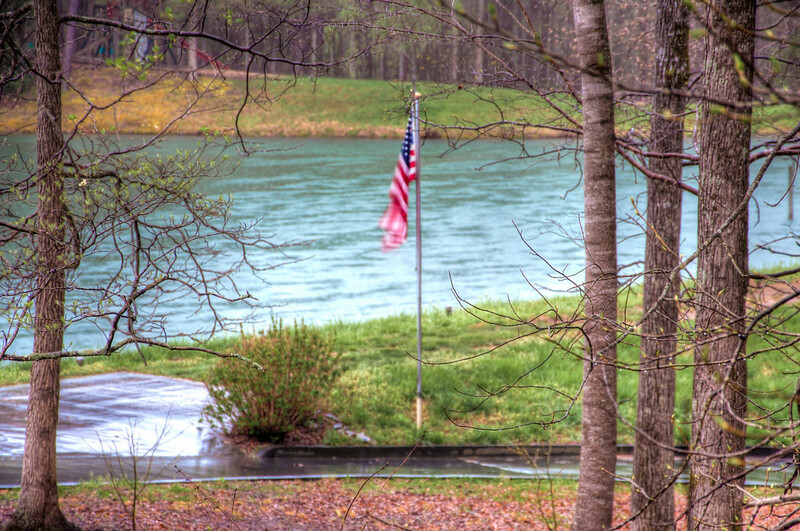 This flag has flown for a while now and has stood through many storms.